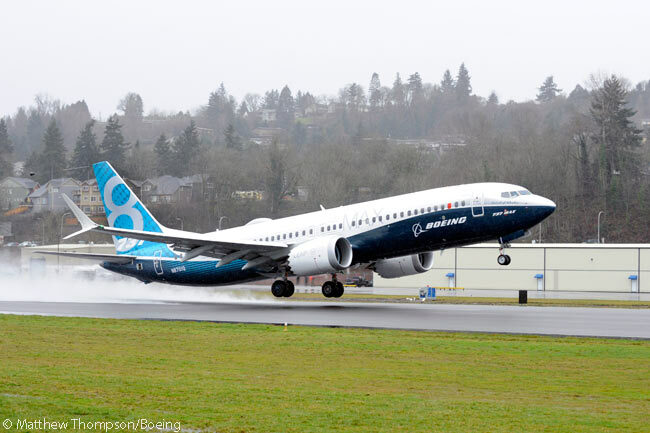 The first Boeing 737 MAX, a 737 MAX 8, performed its first flight on January 29, achieving a 737 MAX program milestone on schedule. Fitted with CFM International LEAP-1B engines and Boeing-designed Advanced Technology winglets, the first member of the 37 MAX family completed a two-hour, 47-minute first flight. The aircraft took off from Renton Field in Renton, Washington, at 9:46 a.m. local time and landed at 12:33 p.m. at Boeing Field in Seattle. 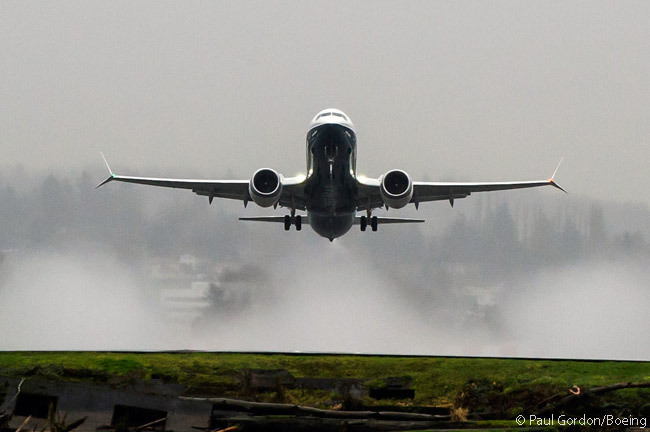 During the flight, 737 MAX Chief Pilot Ed Wilson and Boeing Chief Test Pilot and Vice President of Flight Operations Craig Bomben departed to the north, reaching a maximum altitude of 25,000 feet (7,620 meters) and an airspeed of 250 knots, or about 288 miles (463 kilometers) per hour. This altitude and airspeed is typical for the first flight of a new commercial jet aircraft, according to Boeing. At such an early stage of the flight-test program, the test pilots have not yet had chance to explore the full parameters of the aircraft’s flight envelope and cannot risk anything going amiss at very high altitudes or airspeeds. While Capts. 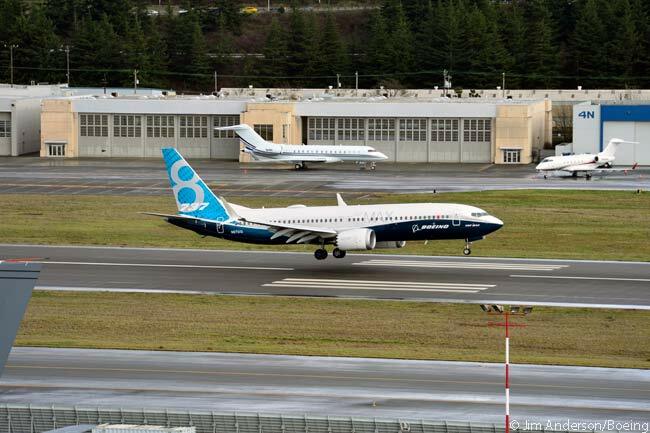 Wilson and Bomben tested the 737 MAX 8’s systems and structures, onboard equipment transmitted real-time data to a flight-test team on the ground in Seattle. Meanwhile, CFM International says it is on track for joint U.S. Federal Aviation Administration and European Aviation Safety Agency certification to support the 737 MAX 8’s entry into service. Nearly 70 per cent of the required engine certification reports for the LEAP-1B engine have been submitted to date, according to CFM. The first full LEAP-1B engine began ground testing in June 2014, three days ahead of schedule, as part of the most extensive ground and flight test certification program in CFM’s history. To date, the total LEAP development program (which also includes the LEAP-1A for the Airbus A320neo program and the LEAP-1C for China’s COMAC C919 commercial jet) has logged more than 8,000 hours and nearly 17,000 cycles of ground and flight testing. The LEAP-1B completed nearly 300 hours over more than 50 flights in flight-testing on GE Aviation’s modified Boeing 747 flying testbed in 2015, according to CFM.